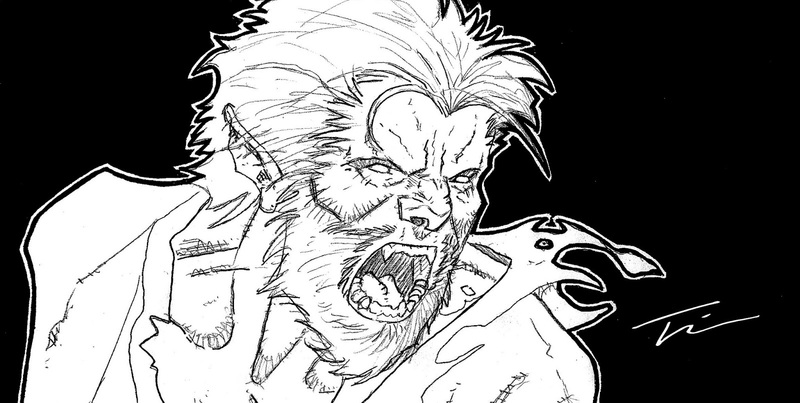 If you look back through the art of psdelux then you can tell a few things about the artist. He or She really likes to get into a style or subject, then play with it until they have mastered it. For the best example of this, just scroll down their instagram or artstation pages. From people, to landscapes and animals, there is always a marked change in theme, tone and subject matter. And the best part is that the transitions usually seem so effortless. Psdelux's newest thing is the fluid flowing shapes of animals mixed with the hard math of geometry. It comes off with great success as well. Just check out one example here. I’ve been a fan of Nesskain since I saw his work 3 years ago. His mastery of anatomy is wonderful and when he plays with the form he does it in the most delightful ways. Take a look at his Oxford Circus or Harry Potter work to see that. You can see his work from 2009 on at his deviantArt site, or keep up with his work from July 2013 to current on his tumblr. But if you go way back in his catalogue, one of the most impressive things you will see is the evolution in his coloring. He started simply and a little mundanely. But now he has utter mastery over lighting and how he uses that to pull you into his stories. I’m sure a lot of artists and illustrators have been paying attention to his new blog where he is giving lessons, tips and tutorials. If they aren’t, they really should. I’ve been following the art of Nosoart for a couple years. 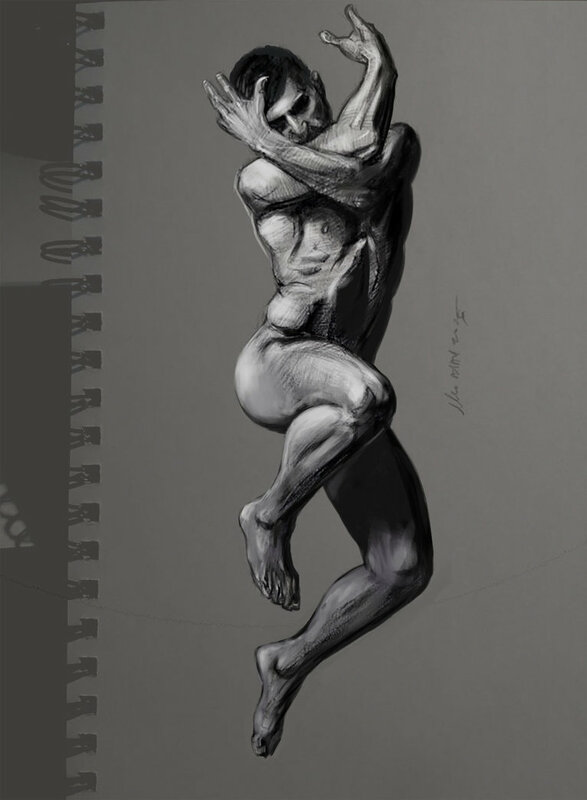 He/She does some amazing finished pieces, but their prolific daily practice sketches are always like little master studies in movement and light. Top to bottom, art by: Anna Maria Zingg, Jesse J. Larsen, Edward Pun, Kiki, ladynlmda, Giorgio Baroni, Rodrigo Costa Alexandrino and Carlos R Bcrra. 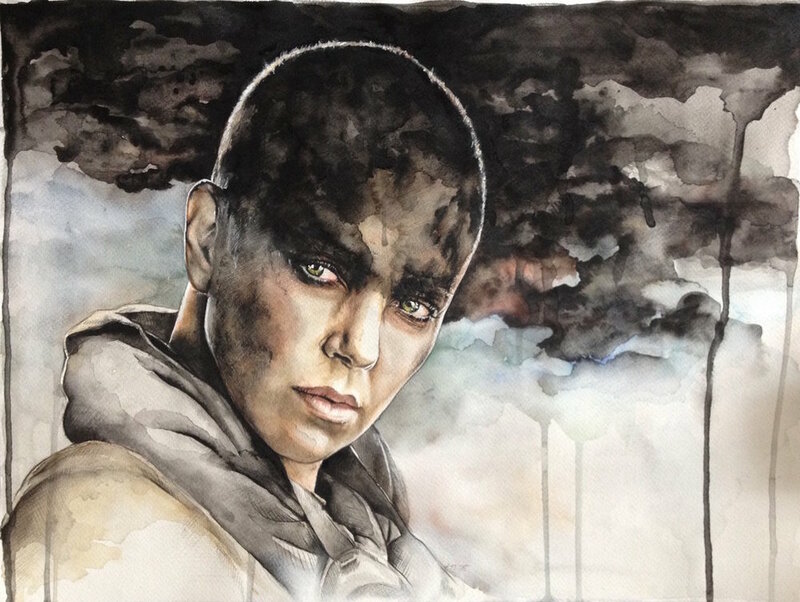 Since the release of Mad Max: Fury Road, my deviantart feed has been full of art that is centered on the character of Imperator Furiosa played by Charlize Theron. Besides Loki, I can’t remember a time when the arrival of a cinematic character has had such an impact on the landscape of illustrators and artists I follow. I can’t help but wonder if she is just one of those characters that has found their absolute best time to come into the pop-culture zeitgeist? And if so, why? Thanks to cultrocknroll for pointing out that they don’t seem sourced. But if you check the captions, you can see who the artist is and find their deviant art page. And added them by name as well. A sketch of Lilith, the Snake Matron by TWKeller for the story The August Thorn. 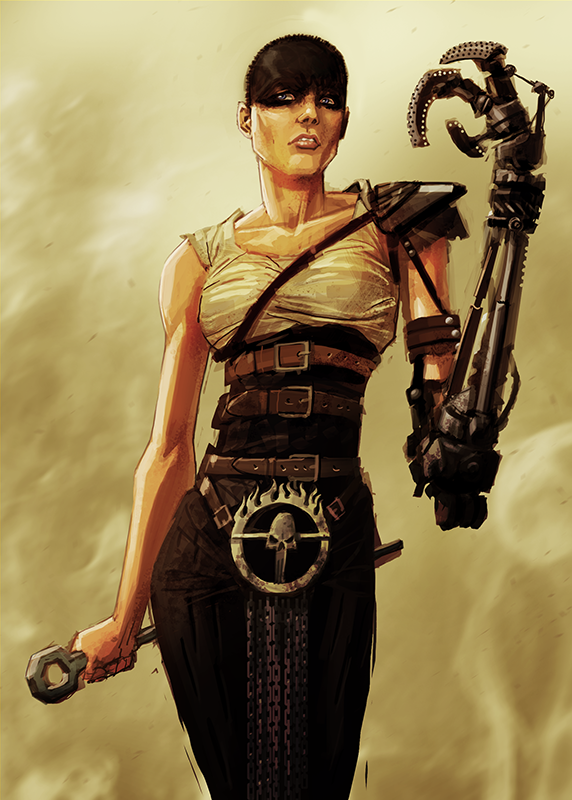 This is a version of her from later in the story. Lilith and The August Thorn are ©FarAfield. 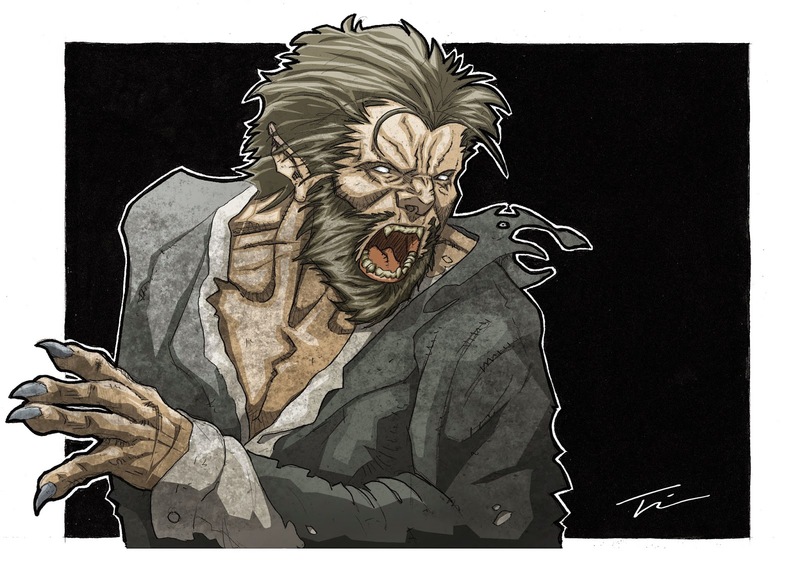 More concept art for characters from The August Thorn. Tim and I are starting to make a more active effort to recruit artists for our flagship endeavor, Illustrators Social Club. We always enjoy bringing the art we enjoy to people who might otherwise not see it. Yeah, even an online Social Club can seem lonely when there is only a handful of people there. We have been having a great time interacting with, and showing the art of our friends Chris Hack and Rubin Pingk, but there is room for so many more! We are discerning, but we love a broad variety of styles. Whether you just want more exposure for your work or you know of someone who could use it, let us know. We always credit the artist and give the viewer a number of ways to follow the artist. Well… not like home addresses or anything. That would be super creepy. Let us know who would like to be seen at the club! 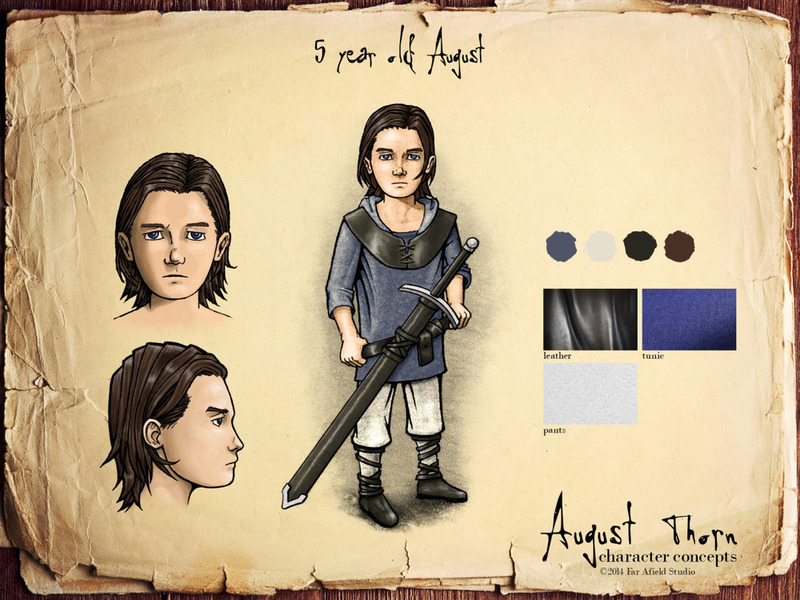 This is concept art for the main character from The August Thorn. Here we get to see him as a boy who is poised to inherit a title that he is ill prepared for.